Cruising into the night in Nashville, TN. 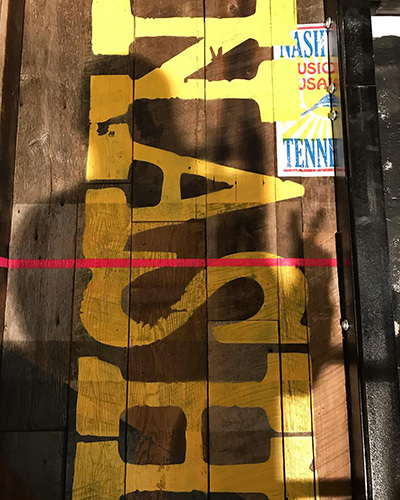 Throwing a little “Night Mode” peace sign while working on the KREASHUN mural install inside Dierks Bentley’s @whiskeyrownashville in “Music City USA”. Creative times with the @riothospitalitygroup and @davis_ink team.